Thanks for sharing! Definitely in that stage with you and will have to check out that book. Good luck! Hang in there momma! She is testing the waters and seeing what she can and can't get by with it! Sounds like you're doing a fantastic job staying on top of it! We may need to try this! Leighton is almost 2.5 and sooooo naughty. Her older sister never hit or bit so it's hard to find a way to discipline her when timeout isn't always effective! I love the clean slate time out thing! That makes so much sense. I've read Parenting with Love & Logic the Early Years and it was a great "why yes of course that makes fotal sense" approach too! Love love love 1-2-3 Magic! We used it a ton when L was Camille's age! Thanks for sharing! I have a 9 year old and 5 year old, so we are on the upper end of using this, but I am going to give it a try. I love the part about the positive labels and negative labels on with behavior. Sometimes its hard in the moment, but this is a great reminder!!! i love these tips!! i haven't read that book, but it sounds amazing!! discipline is hard. so hard. especially when your own frustration gets involved. ugh. but oh, those babies. i just try to remind myself that life is too short. i want well-behaved children, but i don't want to flip out over the negative parts! what a balance!! 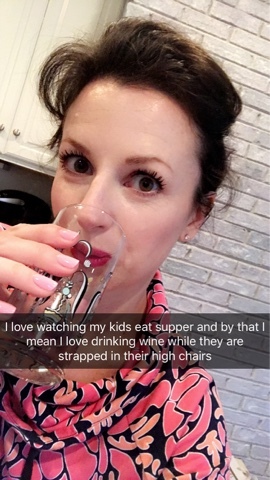 and AMEN to the wine while the babies are strapped in, haha!!! if only we could pour wine while they're in their car seats. hahaha. Seriously, thank you for this. We have had a ROUGH week over here with Walker (and my husband is traveling on business) and I have just felt like "Mean/Scary Mommy" all week. I'm definitely going to be trying the 1-2-3 method with him and I love the whole "clean slate time out" thing. I'm always doing the same: "Do you know WHY you went in time out? Tell your brother you're sorry for hitting him," etc. and it just makes perfect sense now that I read it. Sigh. Parenting isn't for the faint of heart, that's for dang sure! I feel like I need to by this book ASAP. The "threenager" is out in full effect and it has been a rough few weeks. I keep trying to remind myself that he's had a ALOT of change in the past 5 months (transition to big boy bed, potty training, finding out he's going to be a big brother, changing rooms at school) but my goodness he is TOUGH! Thanks for sharing, and I agree that it isn't always easy! You are doing a great job. Hang in there, mama! Just put that book on hold at the library. My daughter is 22 months old and listens to daycare, Dad, just not me and I'm solo with her frequently at night when times are hardest. Breathe! Thanks for sharing! 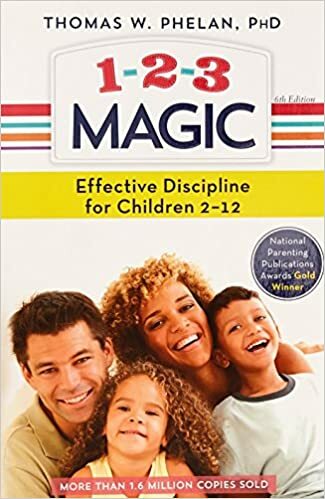 And the book rec :) It is tough but I really think SO helpful for your daughters to learn & be discipline by you.... glad to get to be with them!! Also, this might sound silly, but we've seen major behavior changes before their birthdays & half birthdays- not sure why, but seems like our little ones go through huge physical & emotional changes inside and maybe this is the way it comes out. Just a thought as this stage passes & they grow into sweet young ladies! So, my grandpa was a clinical psychologist in Chicago and he actually worked pretty heavily with Dr. Phelan on this book. We actually have one of the original yellow "pamphlet" books that they created. We were actually test guinea pigs for this when we were little, and my grandpa and parents used this method to discipline us, ha. We've been using it with our little guy too. Glad to hear it is working so well. We are right there with you and MAN, are these great ideas! I am picking up this book right away! I left this book. 😁 We got it about a year ago & it helped me (especially when winn was so little) know how to calmly deal with Miss E. we have a few new set of challenges a year later, but I still use a lot of this book. Love you, momma! We have a 3 year old daughter, and I am also a stay at home mama. I think one of my new favorite disciplinary reactions is to sometimes look for a natural consequence before I have to escalate to a timeout situation! Kind of like the Universe is doing some of the work for me, Haha! If I tell her not to touch the garden hose while it's filling up the little pool and then I turn my back, she picks it up, and gets squirted in the tummy with ice cold water, lesson learned! Counting is magical! I agree! I once read that raising your voice shows that you've lost control. I try to remember that I'm her example of control and behavior. She can't know I'm teetering on the edge, too!! Haha!! 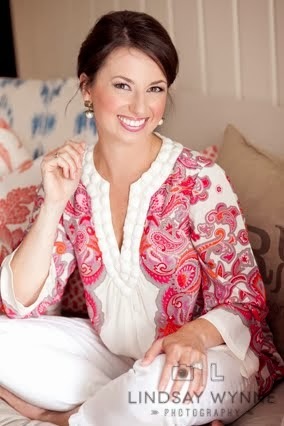 Props to you for "real talk" On this blog!! Ummm I need to borrow this book when you are finished!!! It sounds amazing! These are all such good points and ideas!!! Such great tips! You are an amazing mommy!! I so needed to read this today. My Little is 1.5 and we are just getting into discipline over here. I think that is really good advice about labeling your children vs. their behaviors. It can be so tough to figure out the best thing all the time and it's good to give our kids and ourselves a little bit of grace. Oh my goodness! We are in the thick of it right now with my four year old. It's like nothing I say or do is effective for him. Time out? No. A spanking? No. "Eating" soap? No. He just doesn't take me seriously and we have far too many battles all day every day. I just looked at parenting books and ordered one, but I think I'm going to have to pick this one up too. I need help! I want to model good behavior and be a good example to my boys but some days it's so hard to do that. Good gracious. Thank you for sharing! I will look into this book right now! Did your husband read it and is using the same system? We are having a hard time with our 2.5 year old and I feel like part of the problem is my husband and I discipline very differently. Would love to read the book and have a HOUSEHOLD plan to stick with. Is the "system" easy enough for me to explain to daddy without him reading the book? LOVE this. Thank you for sharing! After Conner comes out of time out, we hug him and tell him we love him.